Betty Verge of Clearwater, British Columbia passed away at Dr.Helmcken Memorial Hospital, suddenly but peacefully on February 27, 2016 at the age of 86. Betty was born in Halifax, Nova Scotia on October 1, 1929. Betty is survived by her daughter Colleen Verge (Darrell Nelson) of Clearwater, BC, sons Brian Verge (Barb) of Clearwater, BC, Richard Verge (Annette) of Fernie, BC, Ralph Verge of Revelstoke, BC (Carole Hanson) of Clearwater, BC. She will be missed by her 8 grandchildren and a few great grandchildren. 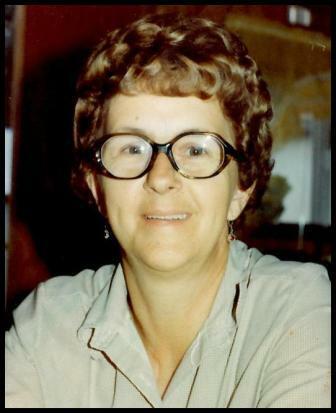 She was predeceased by her husband Victor Verge of Clearwater, BC. Victor was also born in Nova Scotia and passed away on March 15, 2015. In their younger years Betty and Victor were members of the Shuffling Shoes (Square Dancing) group, which they enjoyed for several years. Betty also loved going to play Bingo. 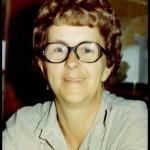 Betty loved her family and just loved kids. She was a devoted wife, mother, and grandmother (“Nan”). Her family was her world. There will be no service. This was the wish of both Betty and Victor.